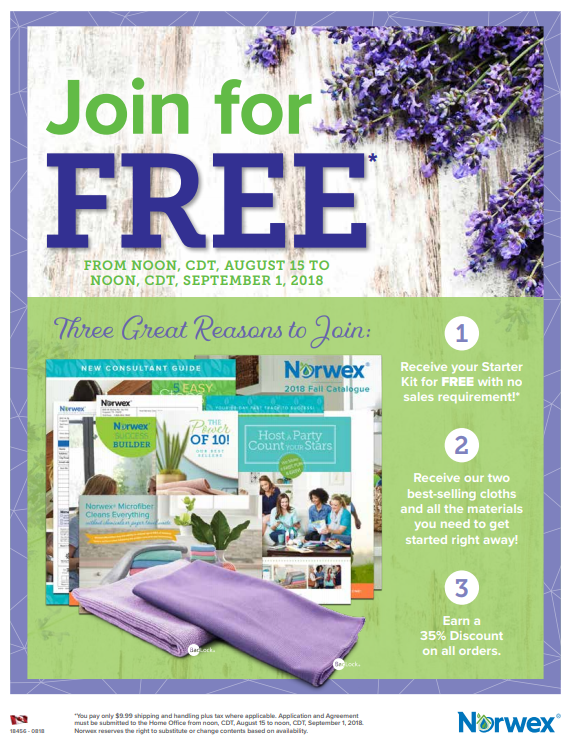 September 2018 Norwex Flash Sale! 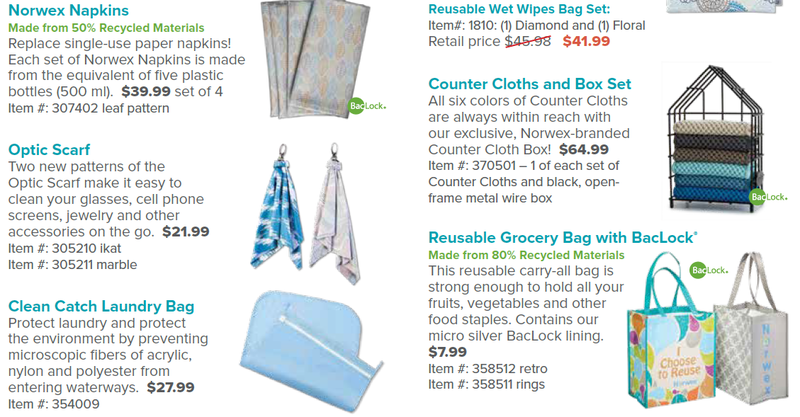 Lots of great microfiber on special this month! 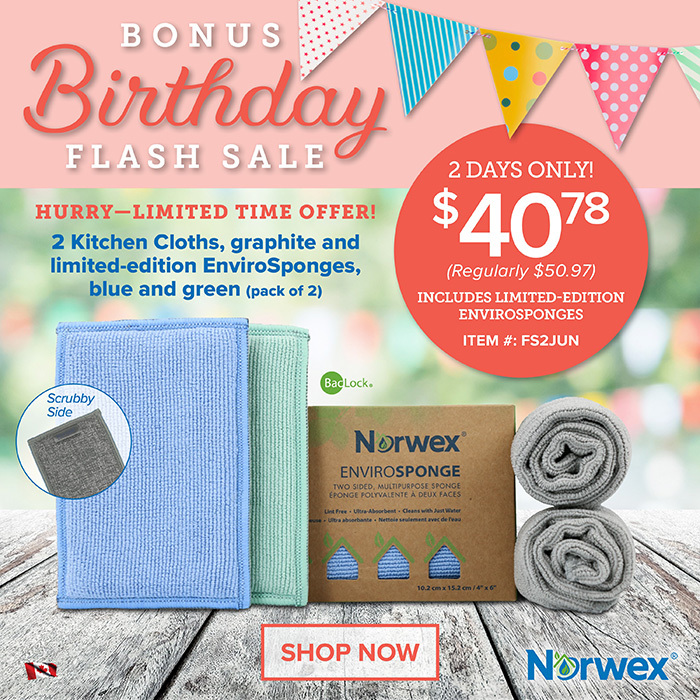 My favourites are the envirocloth and the the kitchen scrub cloth. Flash Sale #2 for August! 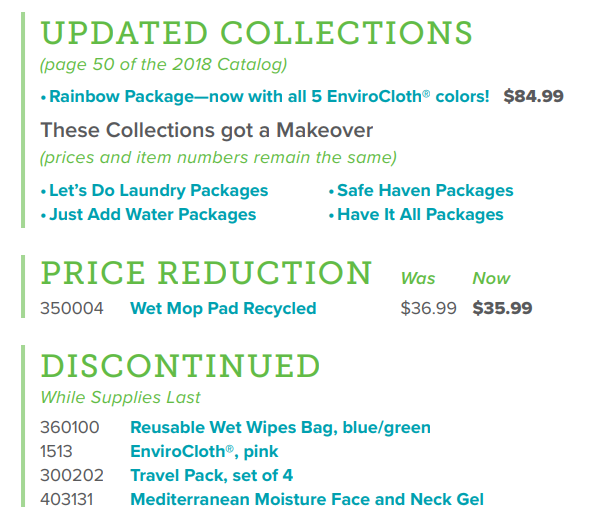 The microfiber variety pack is purse worthy! Having these when you travel is a must! 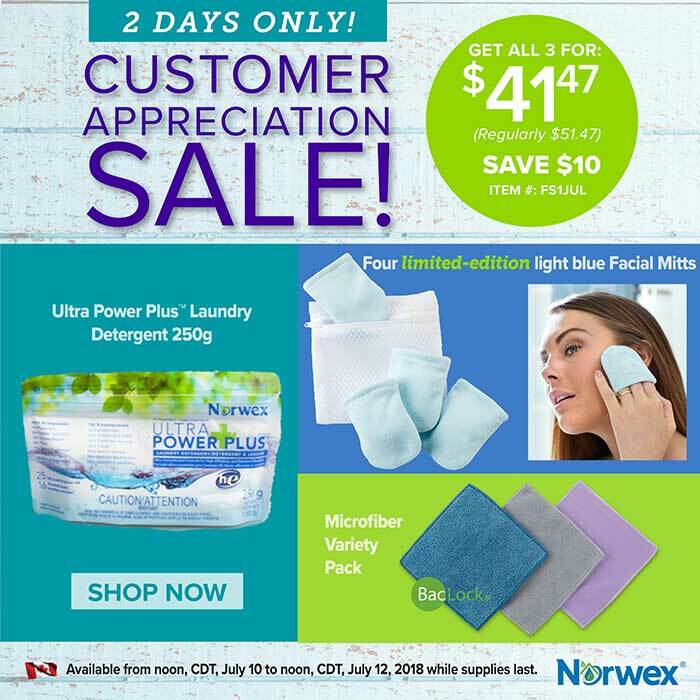 August 2018 Norwex Flash Sale! 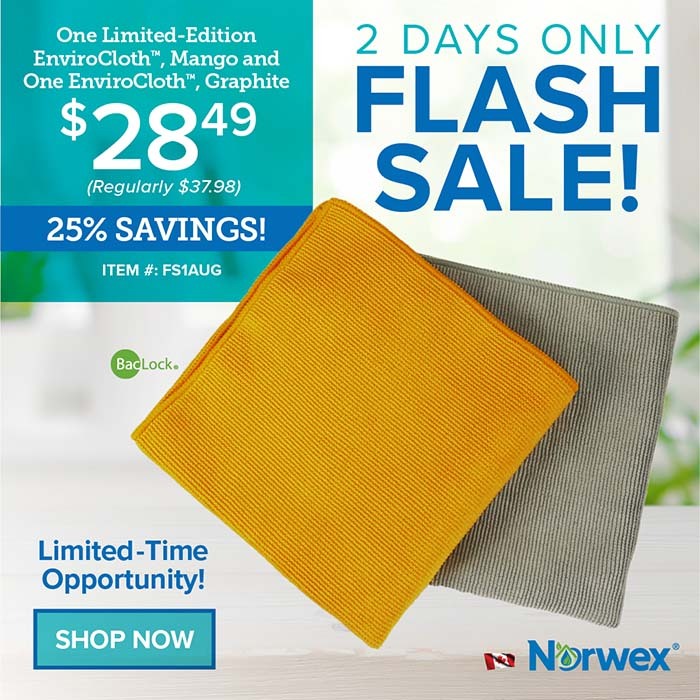 Two Envirocloths, one great price! 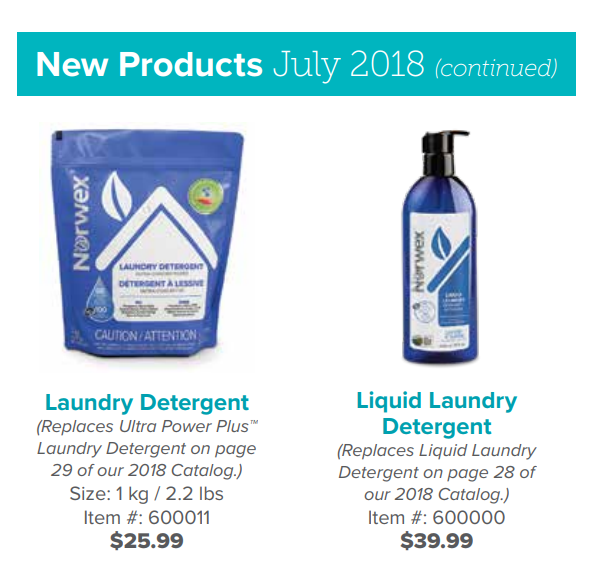 New Norwex Products! Fall 2018! Do you have trouble scrubbing your back? If the answer is, “Yes”, then it’s your lucky month! 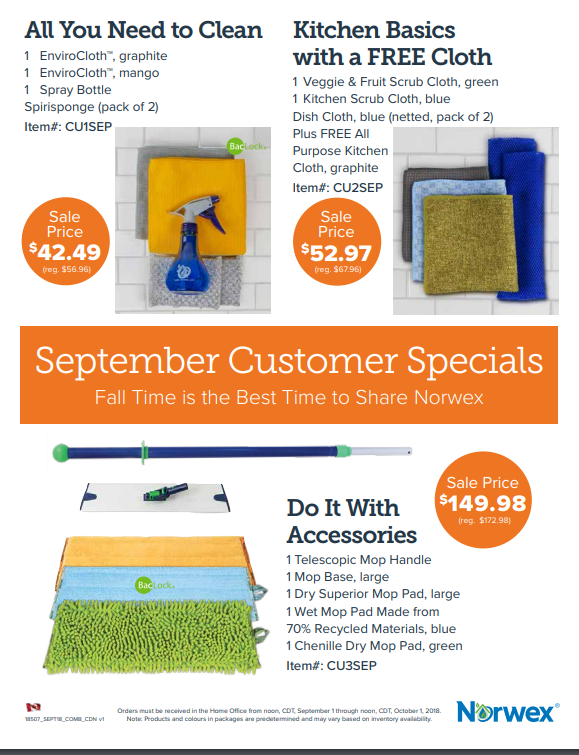 The Norwex Back Scrubber is the monthly special! 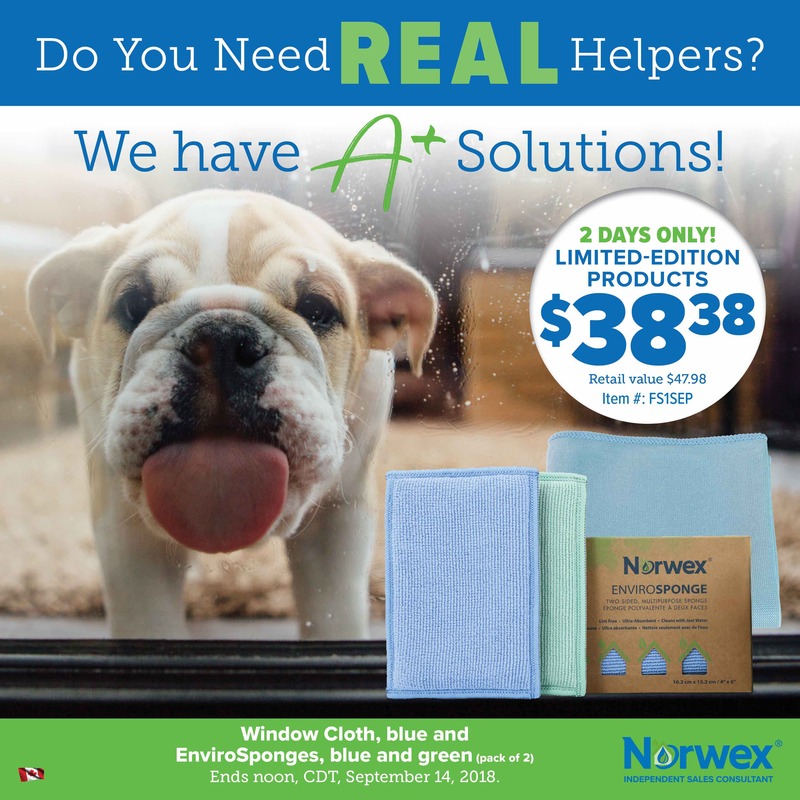 With the Back Scrubber you get the Norwex Shower Gel and a microfiber toothbrush that self-purifies as an added bonus. 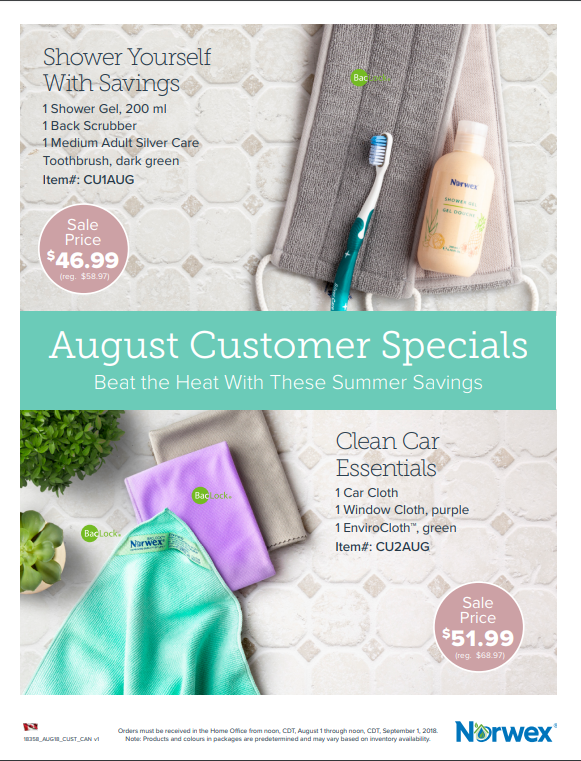 Also offered this month is the Clean Car Essentials. For me, visibility while driving is very important. Getting rid of the haze on the windshield that can blind you in the early morning or at sunset is very important. A windshield cleaned with a damp envirocloth followed with a dry window cloth will remedy the haze. Be safe out there and happy vacation travelling! 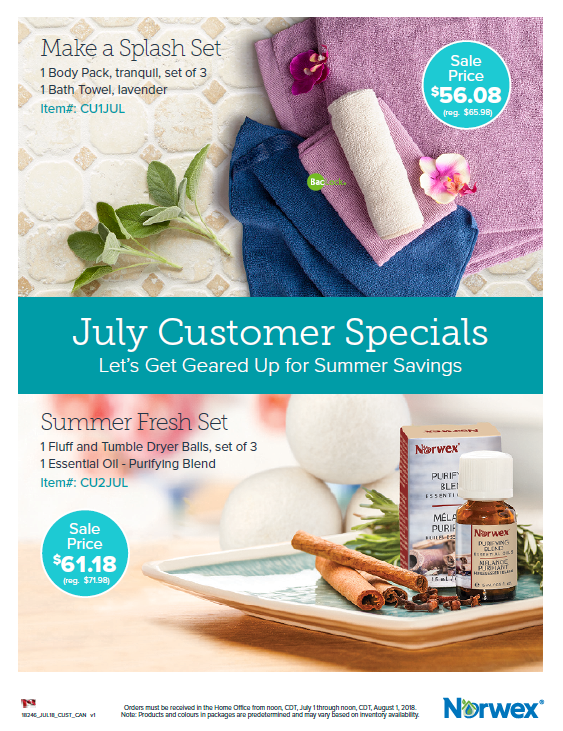 Have you tried the Norwex Essential Oils? I have tried the Purifying Blend. I love the smell of cloves! I like to spray it on my bedsheets. Flash Sale – June 2018 – Bonus! Well looky here! We have a surprise second Flash Sale in June! Check it out! 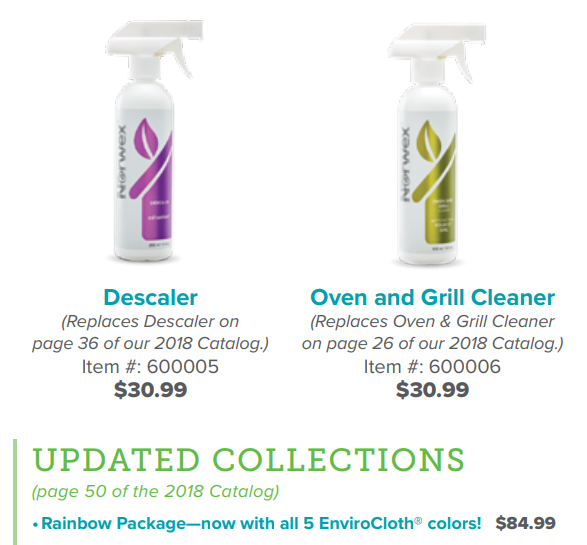 Envirosponge in NEW COLORS!